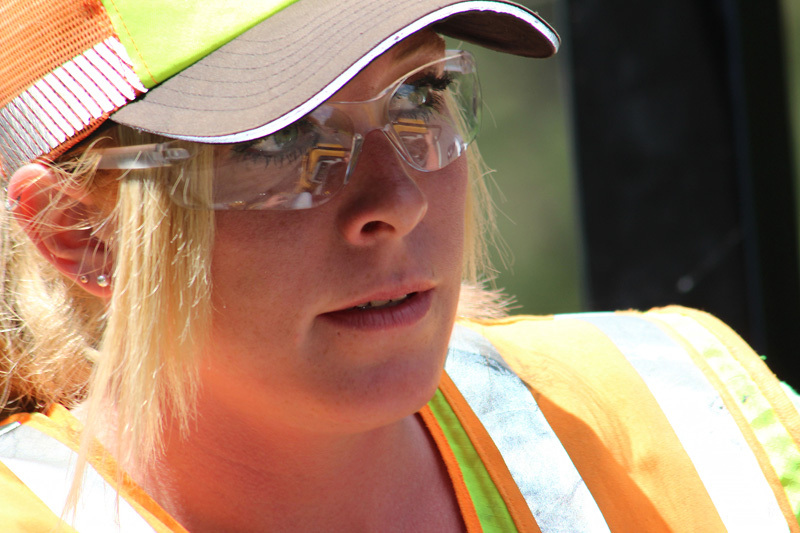 Shannon McIntyre, MnDOT transportation generalist, looks ahead as she drives a Caterpillar compactor over hot asphalt on the edge line along Interstate 35 near Sturgeon Lake, Minnesota. It wouldn’t be a competition if there weren’t rules, right? We have a few – though we’ve tried to minimize them as much as possible to make your entries easier. Get a model release. This is important since nobody wants to sue or get sued for unauthorized use of their likeness. If you know the person you’re photographing, even if it’s a close friend or family member, get them to sign on the dotted line. If you don’t know them, take the opportunity to chat and sign! Give us a caption. Let us know what we’re looking at! A great photo needs context and it helps tell the story of what you were seeing through your camera lens. Follow these rules and you’ll have a winning photo (not guaranteed to win, but you know what we mean)! ← Did You Go Orange?